I am busy with other matters at the moment but I want to avoid forgetting to post a blog entry today, as I have done on various occasions before. Hence, the aforementioned sentence, for the meantime. Going to sleep early (2200hrs last night) and getting up early (0500hrs this morning) in winter is not a norm for me but it will have to be if I'm to become sharper and more concise in my daily activity. 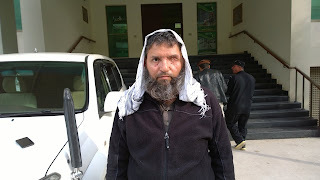 I'm writing up a report on Latif Ejaz of Trar, Rawalakot who featured in yesterday's blog entry. 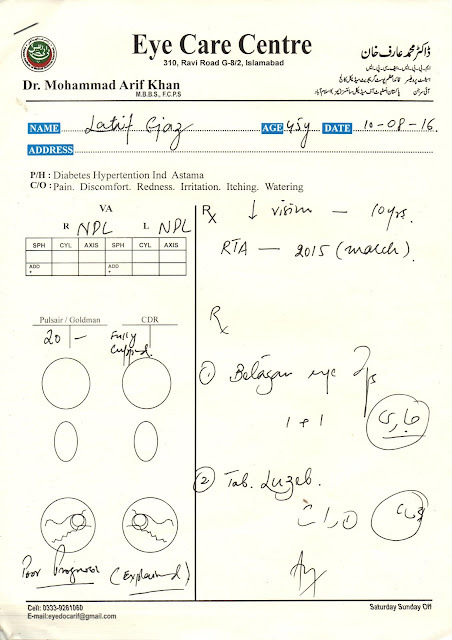 The report will also be added to that entry (Day 359). In a bid to resolve Latif's dilemma, we have a meeting with the stand-in prime minister of AJK, namely Raja Nisaar this morning. The actual prime minister, namely Raja Farooq Haider has been absent from Muzaffarabad for over 2 weeks and we can't continue to wait for him. It so happens that in his 2 and a half year tenure as PM thus far, whenever I've come to Muzaffarabad, he's been absent from the capital. I'm sure that's a coincidence though. At about 4pm on the 25th of March 2015, 45 year old Latif Ejaz - an electronics engineer (studied in Ukraine) and originally from Trar, Rawalakot and living (and working) in Kahuta - Rawalpindi for 25 years, was on his way to deliver a computer that he had built for an old lady in the vicinity. 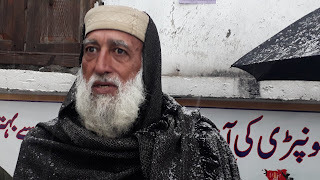 In Kahuta he had his own electronics (including computer hardware and software services) shop and it was common for him to deliver machinery to his customers. 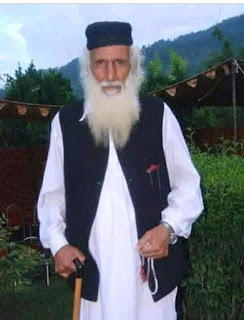 On this occasion, he was riding his motorbike with a passenger on board - namely Qazi Amar Mahmood who was carrying the aforementioned computer - on the main road near Beor towards AJK. Travelling in the other direction towards Kahuta was a 15 year old, namely Tauseef Akhter s/o (son of) Muhammad Yasin resident of Kaangarh tehsil Kahuta - who didn’t have a licence and had borrowed a motorbike was trying to overtake a Suzuki pick-up vehicle. 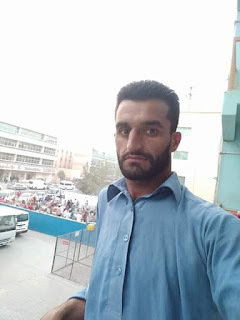 Unable to control his speed or direction, Tauseef clashed head on with Latif’s motorbike despite the latter slowing down and even moving his motorbike into the rough part of the road on the left side. Tauseef’s motorbike had veered totally onto the wrong side of the road. 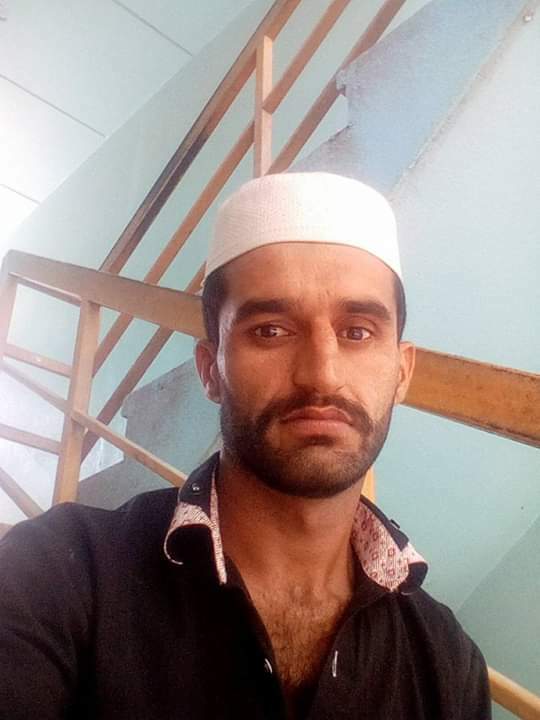 It was observed that Tauseef was not only speeding but riding the motorbike with one hand on the handlebar while the other was busy in straightening his hair. When he saw the oncoming motorbike (Latif’s) he lost control and the point of impact was between Tauseef’s motorbike’s handlebars and Latif’s helmet. 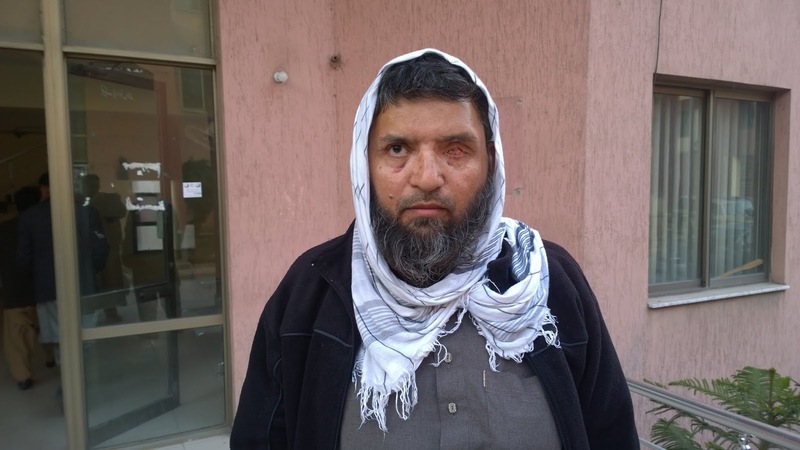 The latter was wearing glasses with metal rims under his helmet both of which were crushed on impact and hence the facial injuries, including the loss of his sight in both eyes. The Suzuki pick-up also stopped and the local police promptly arrived on the scene. Tauseef’s motorbike was taken to the police station while Latif’s bike was secured by a local resident and kept at his home, despite the police wanting to take his motorbike too. To date the computer has not been recovered and witnesses at the scene say they saw the police taking that away too. Meanwhile, the Suzuki pick-up hastened to take both injured parties to the local hospital in Kahuta. Tauseef’s injuries revolved around a broken leg while Latif suffered injuries to his face, head and the whole of the left side of his body. Latif’s pillion rider Qazi Amar had just suffered minor injuries to his back and remained conscious. Shortly after first aid, both injured parties were referred to PIMS (Pakistan Institute of Medical Sciences) in Islamabad. An unconscious Latif was taken by ambulance while Tauseef was taken in a private vehicle. Latif remained admitted in PIMS for about 22 days before he was able to be transferred back to his residence in Kahuta. He was anxious to return home as his family was alone (wife and 4 young children) and he had no other immediate relatives in Kahuta. Latif was also anxious to pursue the person responsible for these injuries - namely Tauseef - and had already asked extended members of his family to enquire from local authorities. 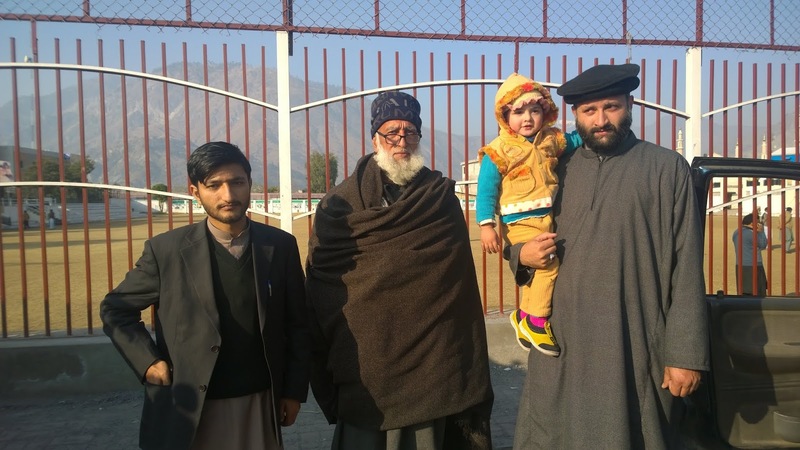 However, despite Latif’s father and brother asking the police to pursue criminal charges, they flatly refused. Even the incriminating motorbike had also quietly been released by the Kahuta police. 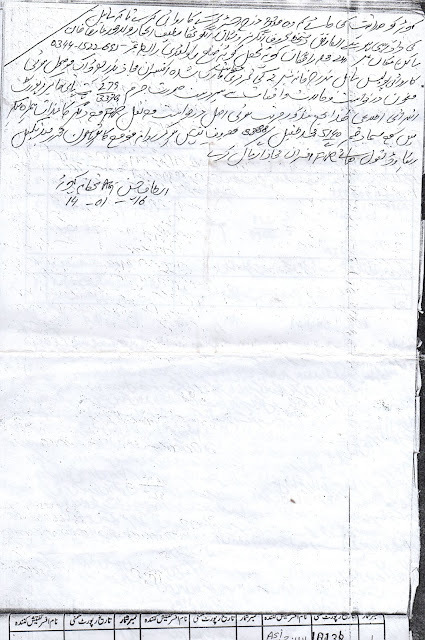 It took about 9 months for Latif to gain enough strength to personally travel to Rawalpindi in early January 2016 and present his case in an open complaints forum (kulli kacheri) to the CPO (City Police Officer) of Rawalpindi. 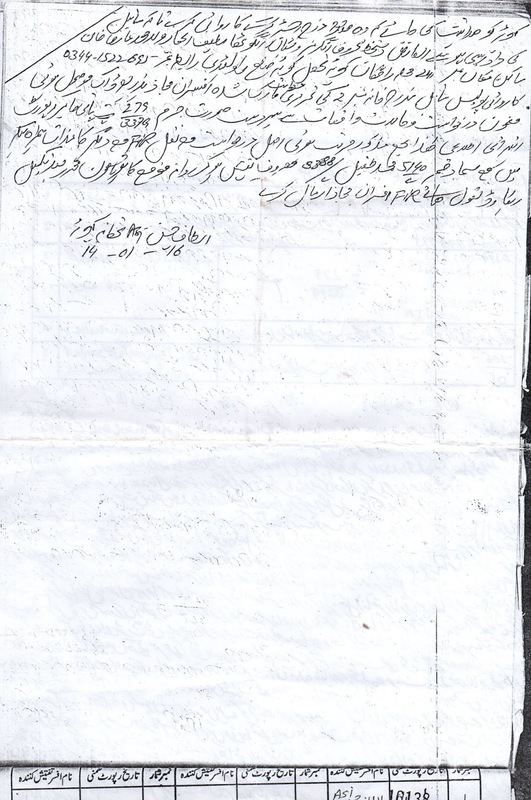 The latter questioned Latif and after satisfying himself of Latif’s bona fides, summoned the police at Kahuta to his office in Rawalpindi 2 days later, where they were ordered to proceed with an FIR (First Information Report) as initially requested by Latif Ejaz’s family 9 months earlier. 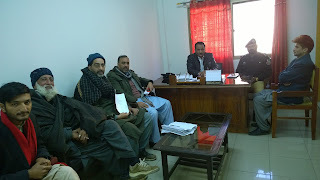 The SHO (Station House Officer) at Kahuta Police Station was Sardar Zulfiqar of Devi Gali - tehsil Hajeera - AJK. 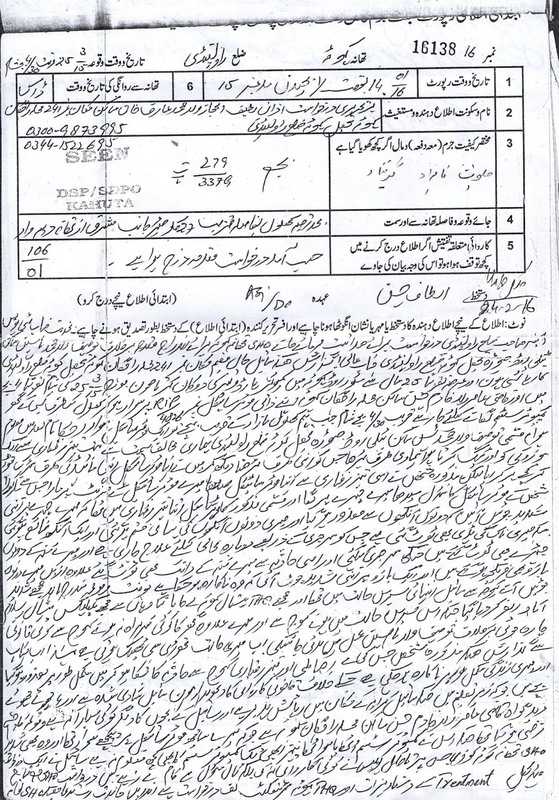 Write an FIR he did but the articles he used were lame and weak compared to the severity of the case. Ejaz Latif’s life had been turned upside down: He was blind in both eyes, his electronics business had collapsed, he had 4 young children and a wife to support and the limbs on the left side of his body are still awaiting cure. 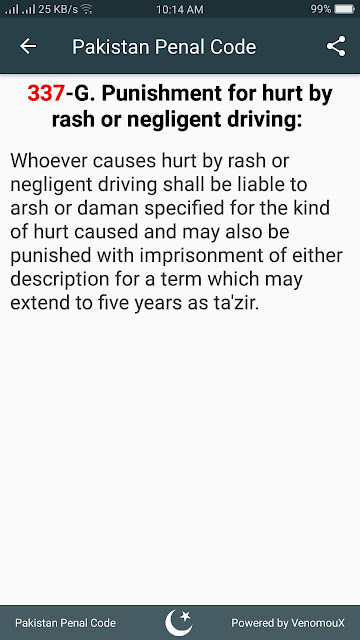 A 15 year old Tauseef with no driving licence couldn’t control the motorbike he was riding while speeding and had crashed into 45 year old Latif, who had held a licence for over 20 years (ITP License Number: 00259445 Expiry Date: 21/09/2016) and had even tried to avoid the oncoming motorbike by slowing down in the rough on the left-hand side. Despite the CPO’s instructions to the Kahuta police, the aforementioned SHO still delayed the writing of the FIR for a further 10 days, apparently to find an alternative means of resolving the issue. 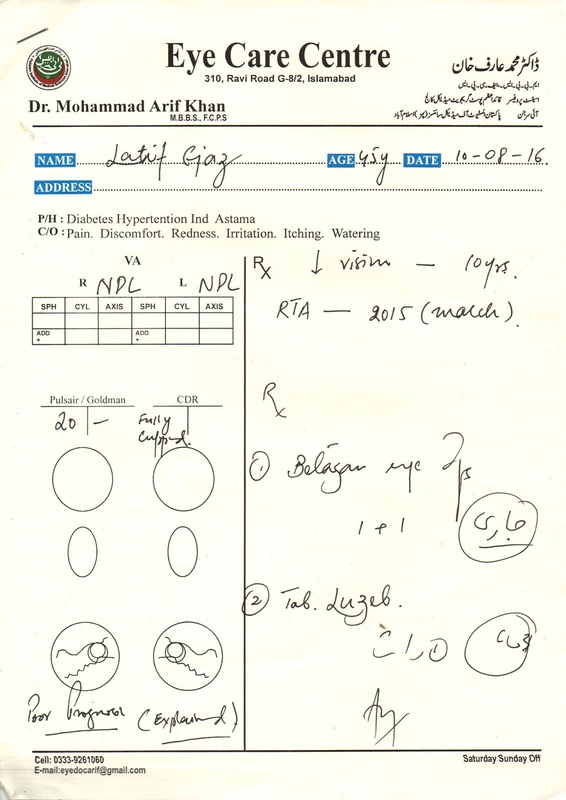 However, the damage to Latif was too severe and the financial implications of recovery too costly. The police also used other forms of delaying tactics according to Latif. 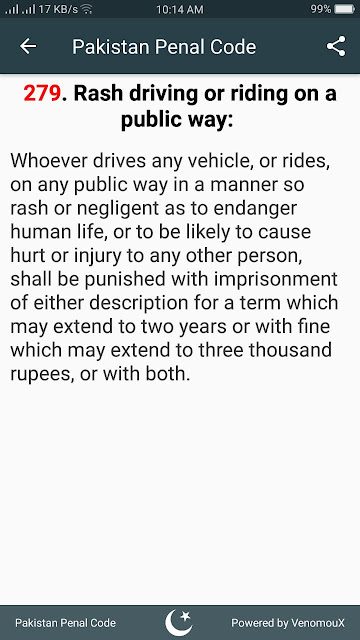 For example, repeatedly asking a blind Latif to take them to the accident scene and although the police tend not to ask for bribes directly from an FIR applicant, others who are well acquainted with the local police make ‘suggestions’ on behalf of the police which become increasingly assertive. How can a blind man whose world has been torn apart in every sense bribe the police to make a strong case on his behalf? Latif also claims that the elder brother of Tauseef, namely Sardar Naseem then began threatening him repeatedly to abort legal proceedings. To the extent that on one occasion Sardar Naseem even came to Latif’s house - uninvited and unannounced without permission and began threatening him. 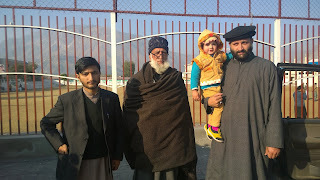 As Latif only had (and has) his wife and 4 young children for support and no extended clan in Kahuta, it isn’t difficult to imagine how vulnerable they were to threats from a relatively far more powerful family. One can make their own assumptions as to why lenient articles were used in the FIR. 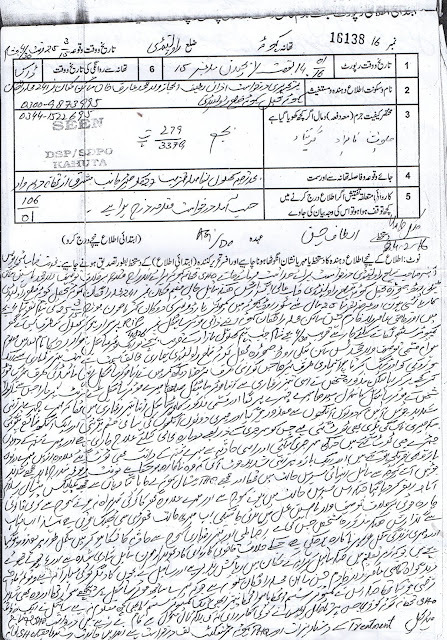 The case was taken up at the Sessions Court in Kahuta consequently and 3 hearings took place - each hearing over a month apart - the defendant Tauseef didn’t appear at various hearings in the interim, while witness statements were taken and filed but before any cross-examination could take place, it was learned that Tauseef had ‘fled’ the country and was now working in the UAE. The case remains shelved for all practical purposes. 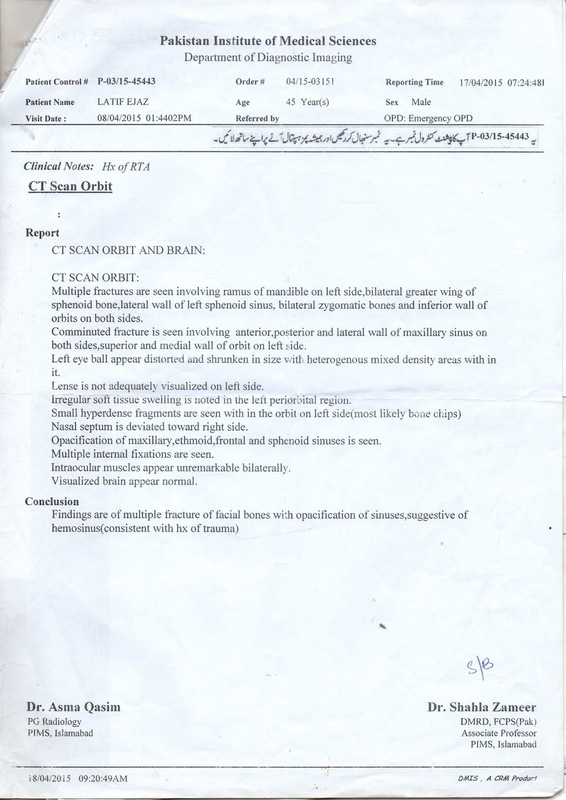 It would have been far more convenient to have obtained a concise medical report on Latif Ejaz’s injuries, treatment and aggregate medical bill. However, as with overall governance and societal behaviour, almost everything in Pakistan has a scattered, ambiguous, ad-hoc and nepotistic feel about it. 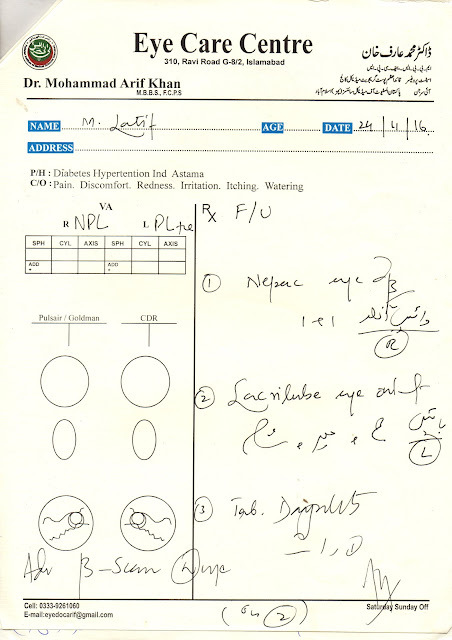 We have however scanned 7 medical related papers (appended at the end of this report) - after extensively going through all Latif’s medical files repeatedly - which should hopefully paint a clearer picture of what Latif has undergone thus far. - Left side of head, face, arms and leg including multiple fracture of facial bones. Eyes are not functioning at all and all other limbs on left side mentioned are functioning at about 70% of their pre-accident performance. 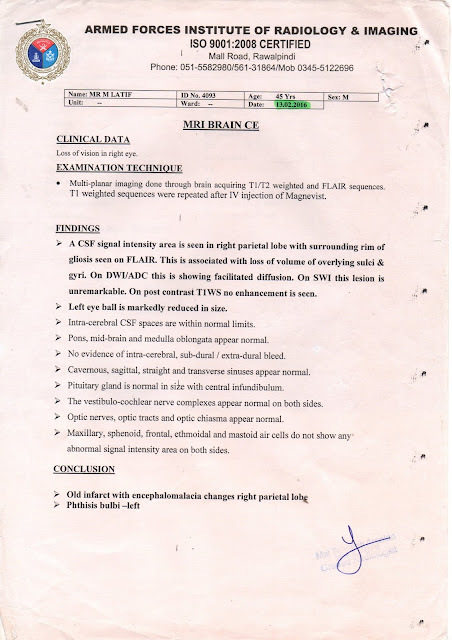 Nerves in left hand and arm are not responding. Pus in left eye continues to leak whilst the eye ball is distorted and has shrunken in size. Latif Ejaz, his wife and 4 children have been deprived of the nutrition, clothing, education and other aspects of lifestyle that they would have enjoyed if this accident did not happen. Whilst the mental trauma and exertion involved in seeking treatment and justice cannot be calculated. 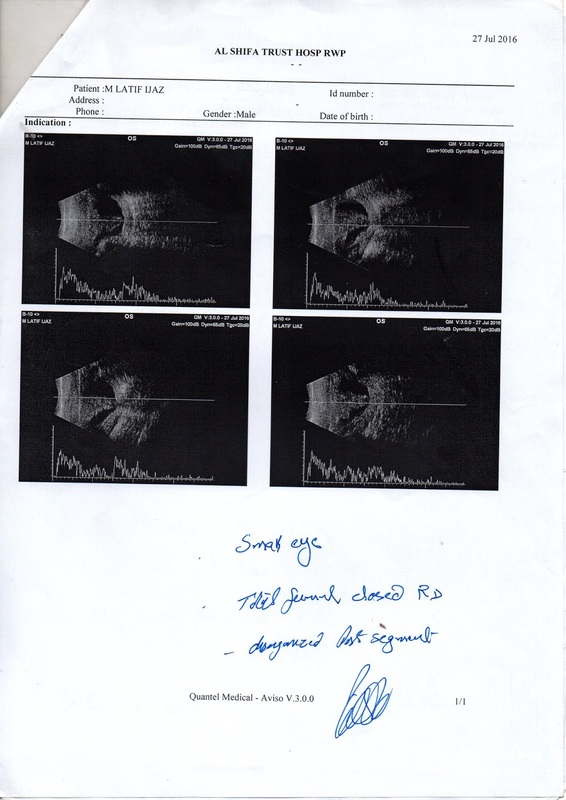 As Latif tried to proceed with possible legal remedies for his plight, he also began searching for an appropriate forum to address the State’s responsibility to remedy the injuries he had sustained. Gradually a consensus developed that he should approach the prime minister of Pakistan (Nawaz Sharif) via his trusted aide Senator Raja Zafar ul Haq, who also happened to originate from the political constituency where the accident took place. 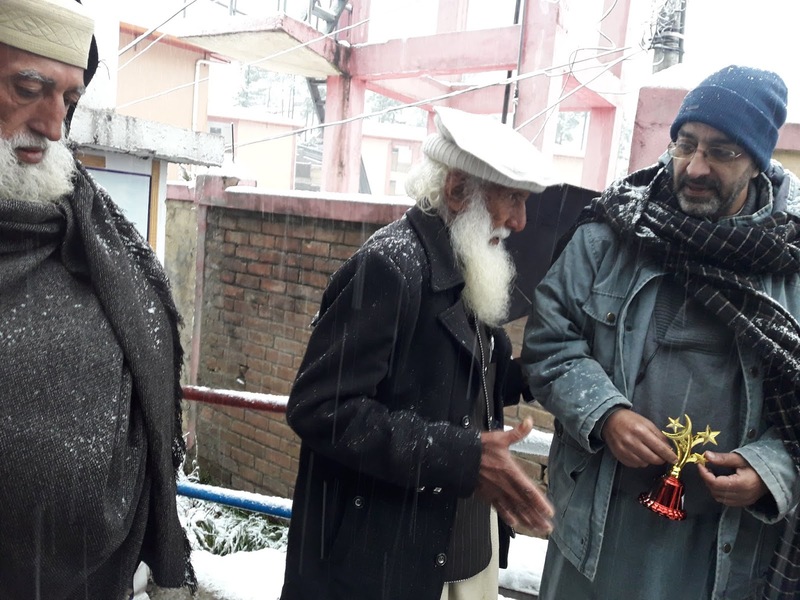 Upon securing a meeting with Raja Zafar ul Haq at the latter’s Islamabad office, Latif Ejaz accompanied by his wife and other notables of his neighbourhood in Kahuta presented his case to the senator. 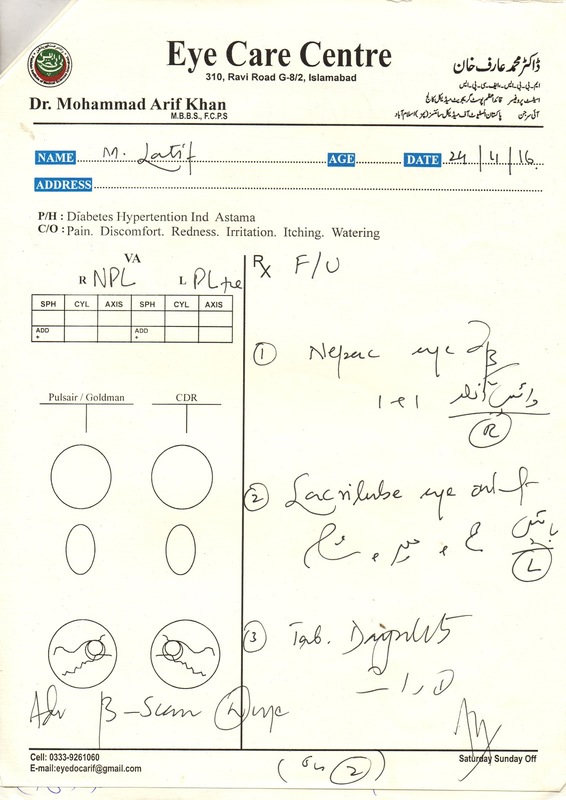 Upon perusing his medical records, Raja Zafar ul Haq exclaimed that the possible costs involved in treating Latif’s injuries would amount to anything between 1 crore and 1.5 crore Pakistani rupees (1 crore equals 10 million). “We are a poor country”, reasoned the Pakistani senator. After remonstration by Latif and those that accompanied him, Raja Zafar ul Haq assured them that he would do whatever was necessary to address Latif’s plight. Despite two further attempts to pursue the promises made by the senator and numerous calls to his office in Islamabad, no response of any sort was forthcoming. Latif Ejaz had been effectively rebuffed by Raja Zafar ul Haq. 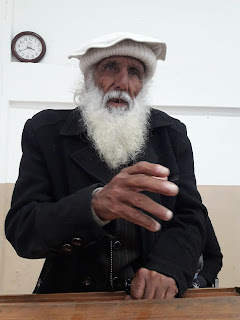 I have known Latif Ejaz ever since I met him for the first time in the winter of 2005 in Kahuta, on my frequent journeys between Islamabad in Pakistan (where I lived at the time) and my home village in Sehnsa district Kotli - AJK. I have always found him to be helpful in sharing his expertise in electronics as well as in matters related to computer hardware and software. He is also a devout Muslim who prays 5 times a day and has always been focussed on giving his young children a pious upbringing while remaining apolitical on most matters. 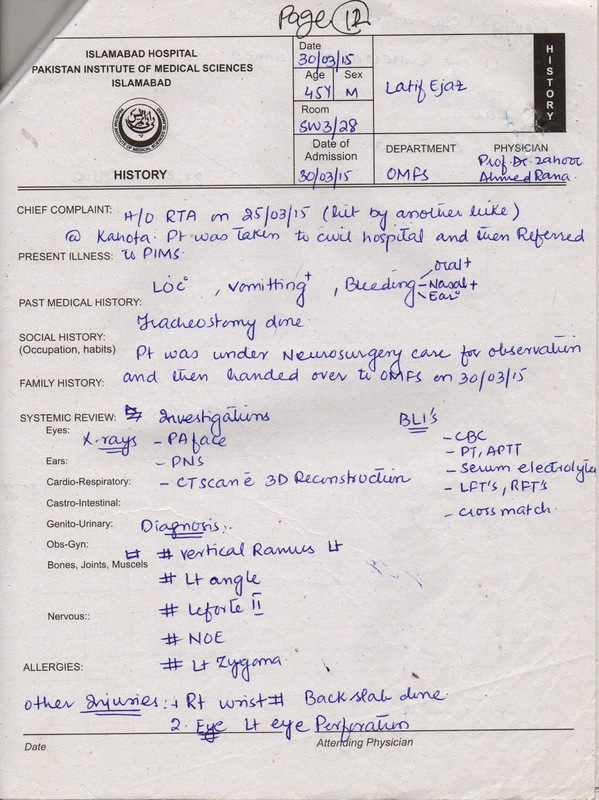 When I learned of his accident, I did ask him to send me details which he promptly did. However, I could not devote the attention needed primarily because I have an extensive to-do list. In short, I could not fit in his issue to my schedule to date. However, my current visit to Sharda in Neelam Valley was unscheduled as I normally try and spend winter at home in Dadyaal; to update my research, which has generated far more material than I - as an individual - can possibly manage. 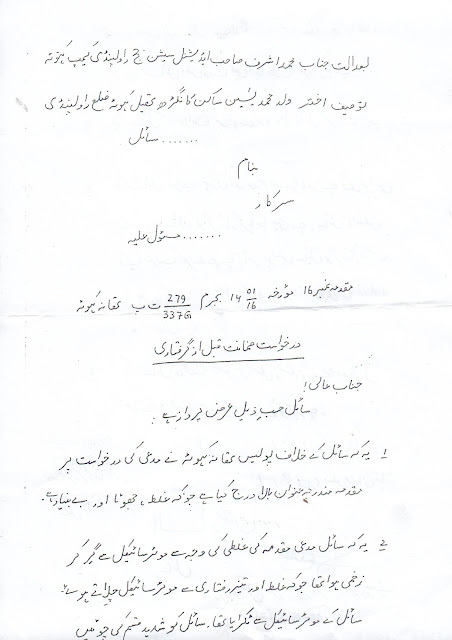 As I need to complete the devised procedure in reference to Sharda, which involves meeting the prime minister of AJK as part of a 12 member delegation (whereby the PM has been absent from his capital for over 2 weeks now), thus there appeared space in my schedule to invite Latif Ejaz to Muzaffarabad, in order to pursue his just demand for the State to take responsibility, for his blindness in particular. Inviting him here was based on information exchanged between the AJK Government and Mahmood Ahmed Musafir (where I was a witness) in their table-talk on the 23rd of April, earlier this year. 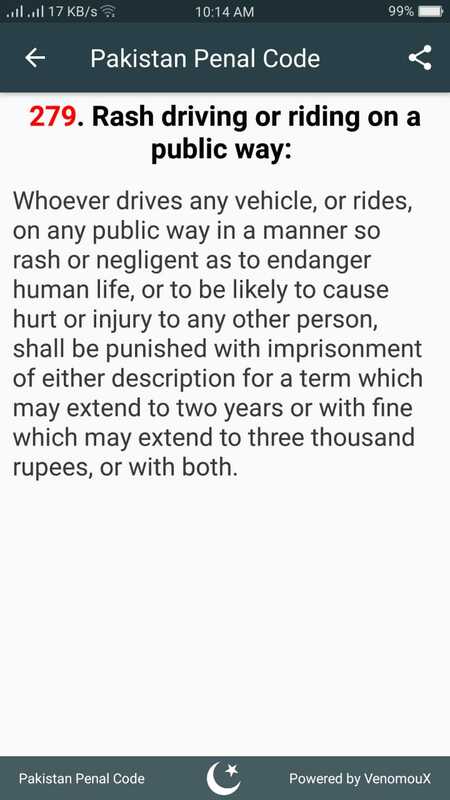 Item number 4 of Mahmood Ahmed Musafir’s 32 demands in public interest was: Cruel road accident/death policies. 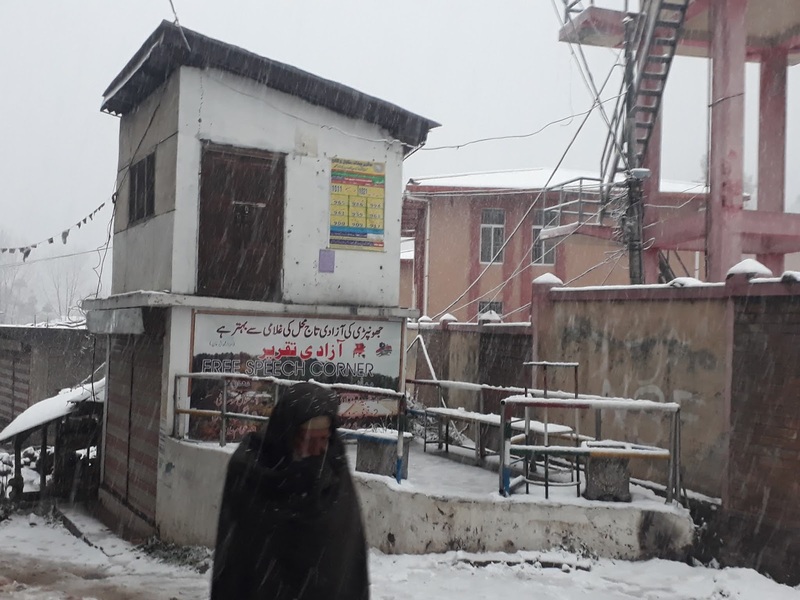 In our dialogue, the AJK government confirmed that responsibility for meeting the costs of injuries sustained by any AJK citizen rested with them, irrespective of whether that accident happened in AJK or in Pakistan. 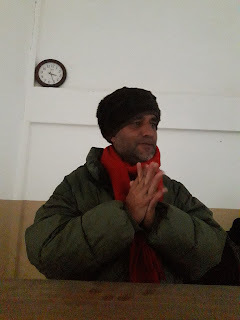 I invited Latif Ejaz to Muzaffarabad on Monday the 24th of December. He arrived early in the afternoon accompanied by a voluntary carer to assist him in his movement. We immediately proceeded to DC Muzaffarabad’s office (as it was the DC who had confirmed AJK’s responsibility in our table talk on the 23rd of April). 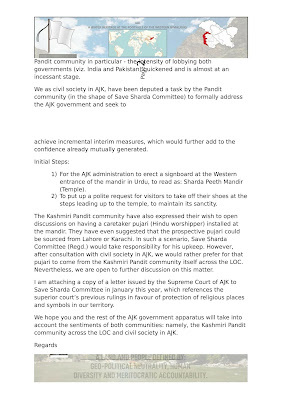 Although the DC then was Masood ur Rehman and now the DC’s seat had very recently been occupied by Badr Munir, on account of the title (DC) and not the individual who had confirmed AJK’s responsibility, I felt it proper to begin our formal procedure for resolution from his office. 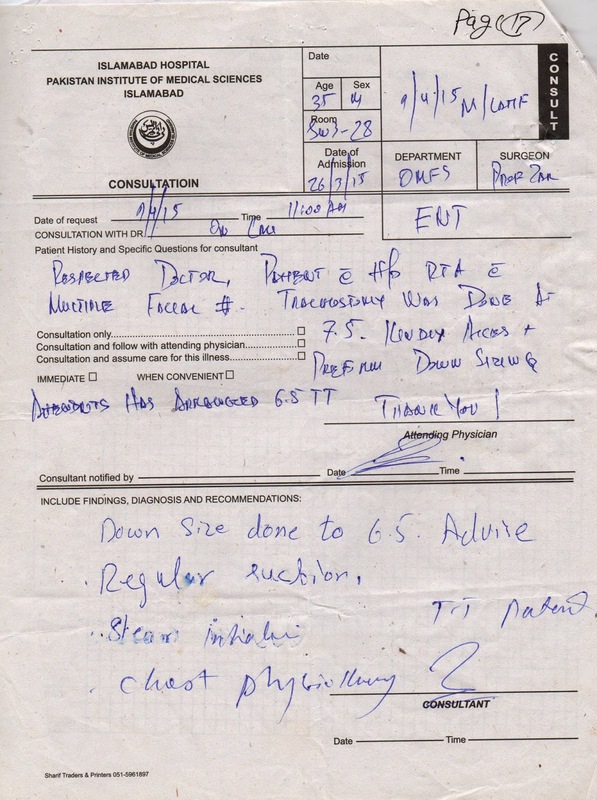 DC Badr Munir listened to us patiently and directed us to his staff and directed them to create a file on Latif Ejaz’s behalf. 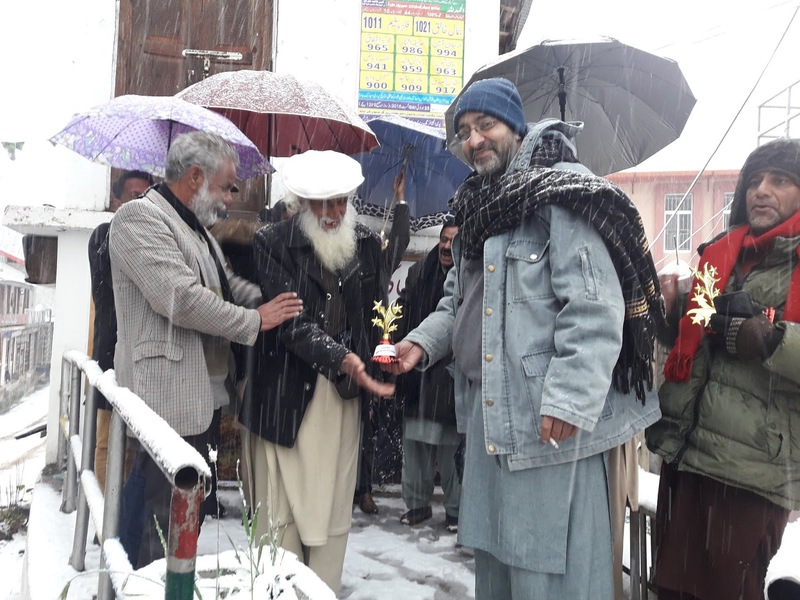 However, after preliminary discussions with them, they became adamant that Latif Ejaz had to proceed to DC Rawalakot’s office, where Latif originated from. I responded by asking what DC Rawalakot would do after creating a file there? DC Muzaffarabad’s staff replied that the file would return to Muzaffarabad! I explained that we didn’t want to run a blind man in circles and that as an action-oriented researcher I was keen on helping to create a clear, meritocratic and easily verifiable procedure to resolve such issues, which amounted to many thousands throughout the State. If I pursued each genuine case individually in such a manner, I would become exhausted and with time the amount of victims of dysfunctional governance would only increase. We left DC’s office to consult ‘experts’ in civil society on the matter. 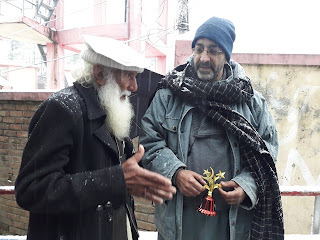 We also decided to send Latif’s travel companion/carer back to Kahuta and took responsibility to look after him while here in Muzaffarabad. 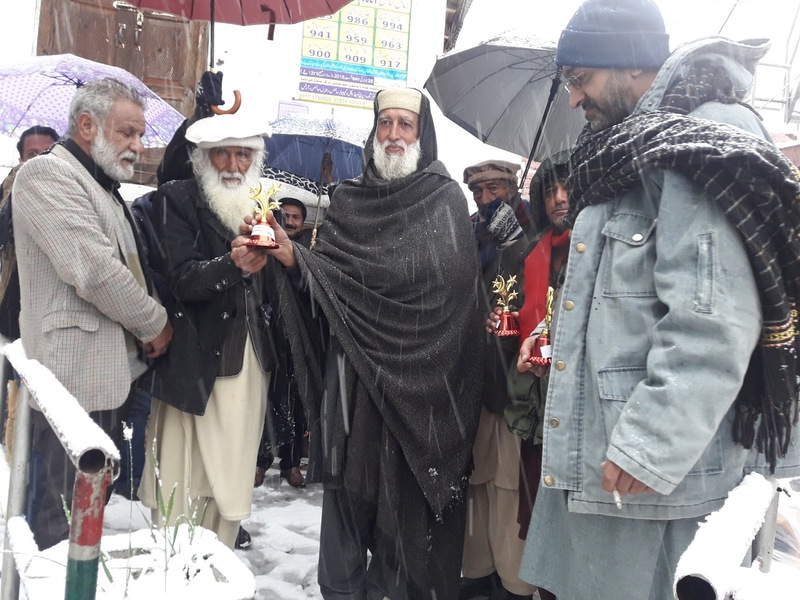 By coincidence, we learned that such matters are successfully addressed in Gilgit Baltistan in a very clear, systematic albeit long-winded manner; whereby the ‘State’ is ultimately forced to take responsibility. However, as the traditional approach here in AJK has always been very haphazard and based on patronage, it would be difficult to immediately inculcate or emulate the pragmatism of activists in Gilgit Baltistan. It was eventually agreed that we would approach the senior most representative of the AJK government in Muzaffarabad, considering the prime minister remained absent. Hence, our meeting yesterday with senior minister and ‘de facto’ prime minister Raja Nisaar. 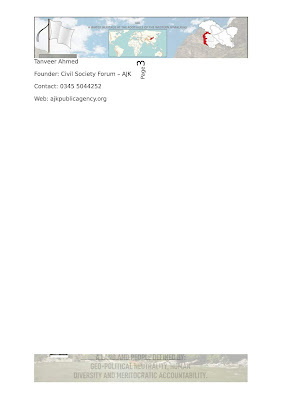 The latter did attempt to waive responsibility a la Raja Zafar ul Haq but we explained - using statistics published in Pakistan’s Planning & Development Survey of 2017 - as to how rich the territory of AJK actually was in comparison to Pakistan and thus the responsibility of the AJK government to meet expenses of medical treatment could not be abdicated on. Yes, there remained an issue of taxation not being controlled by the AJK State but that could be resolved by legislation, subject to the AJK Assembly members being sincere and keen to improve the quality of governance here. 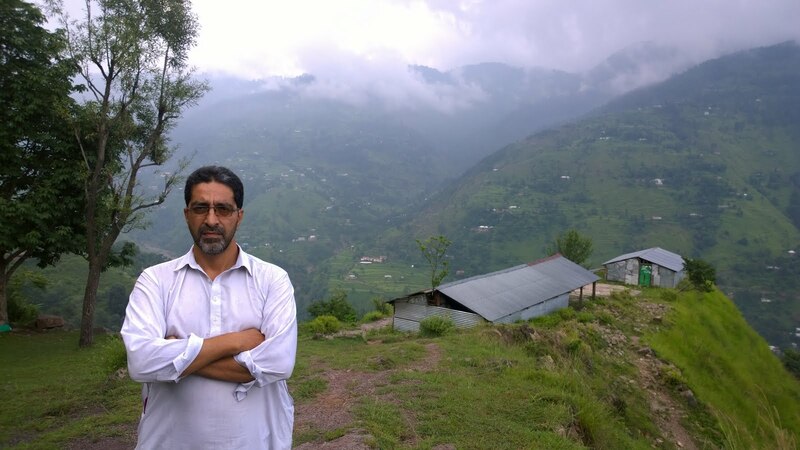 At the end of 2018, in a digital age with access to most aspects of public finance in the region, it was no longer possible to pretend that AJK was a poor region. Per capita and measured by bank deposits, the 5 million or so citizens of AJK had a larger share of Pakistan’s banking than the 200 million or so citizens of Pakistan! In short, our politicians cannot use the excuse that we are poor. 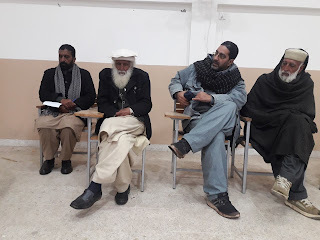 It was mutually decided between Raja Nisaar and I (Tanveer Ahmed) that we should let Latif Ejaz return home to his family and not make him endure more pain and difficulty by swinging him from one office to another. 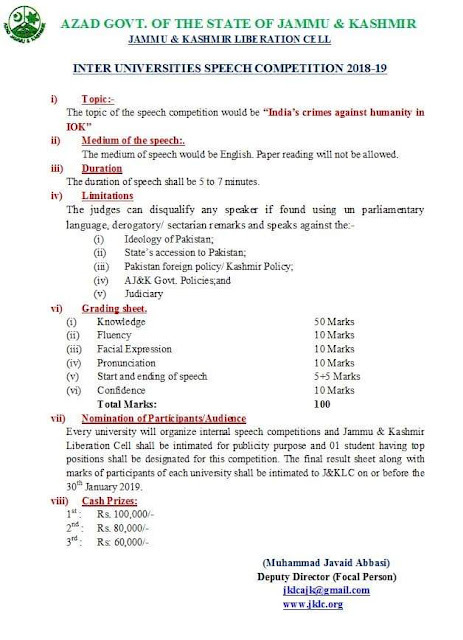 I would pursue his case when the prime minister Raja Farooq Haider returned to Muzaffarabad, whereupon a detailed conversation on various aspects of governance (including responsibility for compensation of road accident victims) would ensue and would include other members of the AJK Legislative Assembly. Overall, it should be understood that effective governance needs a transparent, accountable and meritocratic framework. 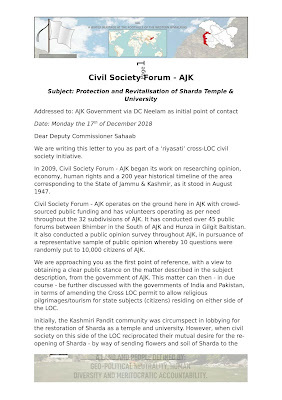 If the AJK government in consultation with its public can arrive at a consensus, we may actually succeed in building humanity in governance here. Today or rather yesterday (Day 358) was as heavy a day as any I can remember. I've been waiting on an MLA to get back in touch with me all morning. He had promised last week that he would meet me today. As we're entering the serious end of our action-oriented research, I will have to become more detailed in my description of interaction with the legislative assembly, bureaucracy and AJK administration in general. As mentioned before, I'm still not adequately summarising each passing day in my blog entries. Need to work a bit harder and smarter too. Information and events can be as sizzling as they are tragic too. There is too much that happens and needs taken notice of that one feels at times, that they should be 'locked on' communication for all their waking hours. 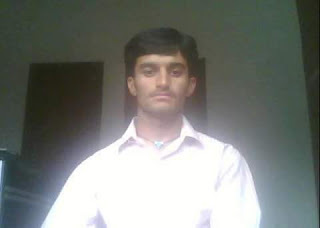 Nevertheless...........I won't ever forget Bashir Sahaab, He left us early yesterday morning (Day 356). A jewel of a human being met just 12 days ago. An agile 81 year old and fighting fit he was in minus 0 temperatures at Free Speech Corner - Dathote - Poonch on 'Human Rights Day'. His worth to AJK cannot be calculated. Freedom of expression and democracy were his twin motors for human evolution. Taking into account the multitude of thoughts for the betterment of society here is a fine art. Navigating all those emotions and balancing all the sacrifices involved can be daunting and at times stifling too. With the year almost done, I'm still finding it difficult to adequately summarise my day on this blog. It may have to become my new year's resolution. 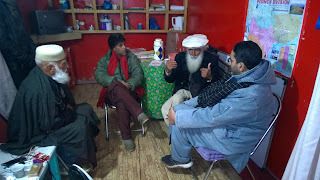 Meanwhile, on this day after over 7 months of a sit-in protest outside Islamabad Press Club, Mahmood Ahmed Musafir receives his first visit from a conformist politician of AJK, namely Barrister Sultan Mahmood who lost his Assembly seat in 2016 but retains the leadership of Pakistan's PTI in AJK. In an upside down system, it might be reasonable to share an occasional video upside down too! Putting the pieces of the jigsaw together, one by one in Muzaffarabad. While we're here, there is some daily public activity on 'Darya Bachao' (Save Our Rivers) and we're unable to participate in any way. While analysing it from a distance, it appears that there has been some evolution in practice, as far as public activism is concerned. The tussle between private (individual) and public interest remains. However, consistency - in struggle - and transparency in the digital age could and should minimise the traditional ascendency of private interest. Short term needs of activists will eventually be subordinate to longer term public interest. One has to find the strength and time to mobilise public interest. A little rest - as has been practiced over the last couple of days - has done wonders to refresh us for the next phase of internal dialogue on Sharda. Our next targets - for interaction in Muzaffarabad - are in the following order: academics, journalists, lawyers, business community and then politicians. Simultaneously, Mahmood Ahmed Musafir on the other side of the actual - but cold - border of AJK, searching for justice from the mandated party of justice. Gradually coming to terms with the information glut on our hands. Also, gradually bringing the gap between videos generated and videos published towards some sort of equilibrium. Most people don't appreciate the amount of time, effort, finance times manpower is involved in the pursuit of genuine public interest. Especially, in a society hard-wired to concentrate on narrow private interest. Once I'm back at my home station, I will delve deeper into this subject. Absent-mindedness caught up with me again as I just remembered that I've passed the midnight deadline. 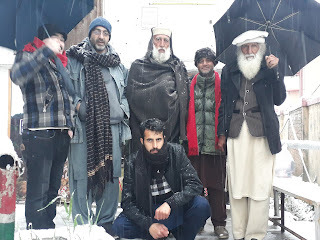 I couldn't post an entry on the 16th (Day 350) either as I couldn't trace a signal in that part of the Neelam Valley where we were. It's getting increasingly harder to keep pace with the world or rather with the increasing amount of information we choose to consume. One can almost get lost, especially after spending a few days away from 'being online'. The original document handed over consisted of 2 pages whereas converting the file into an image file has extended it to 3 pages. Not the rulers but the people of Pakistan are our true supporters and friends. 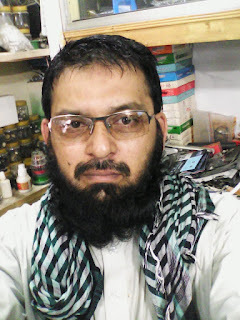 The people of Pakistan have sincerity as well as sympathy for us. Whenever Kashmiris move forward, the people of Pakistan will support them. A welcoming fire adjacent to the chilling waters of Kishenganga at Sharda. We want to finish this year on a high. There are still some well-wishers who consider that taking my work to the power corriders of the 'West' is the need of the hour. My response - as always - is to make our people confident, well-informed and assertive enough to resolve our collective dilemma of deprived ownership locally. We should seek the means and attributes necessary for the world to notice and recognise us as an independent entity. That isn't possible without implementing OBMs locally. We cannot piggy-back regional or global agendas and expect to derive benefit for our territory. Capacity-building for conflict resolution must be built locally and within. We cannot prosper as a hollow shell of a civilisation. If you don't own the process of change, you cannot control the outcome. This is what happened in 1947 and we are almost hell-bent on repeating the same. Its all gelling together it seems. Sometimes even humanitarian efforts have to be described cryptically. The more familiar you are with me and my work, the easier it will be to decrypt my words. When humanity is intent and focused on constructing a better future, no amount of wickedness can defend itself. The people of Muzaffarabad (administrative division as a whole) have been relentlessly chanting slogans of "Hamaarey Darya Bachao" (save our rivers) all the way from their diaspora in the UK to their women on the streets of Muzaffarabad. This water terrorism on the part of Pakistan is symbolised by black flags whenever the public of this territory march on the streets. Still travelling but at a lower altitude. Saw a lot of people mobilise around snow today too. Probably the coldest day I've experienced in all my time here (since 2005), yet it was still one of the most meaningful. Human Rights Day is observed by the international community every year on the 10th of December. It commemorates the day in 1948 when the United Nations General Assembly adopted the Universal Declaration of Human Rights. 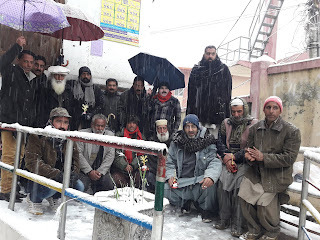 Check the commitment of the local population of Dathote in union council Paachot, tehsil Rawalakot, district Poonch; at least 6,500 feet above sea level. The following video is perhaps the most significant of all. Our dedication and commitment to human rights, freedom of expression and advanced democracy in AJK; cannot be symbolised better than the spirit shown here, at perhaps the world's second 'free speech corner' after Hyde Park, London. Yet another full day. A lot of travelling done today too. Forgive the camera angle, I don't yet have a dedicated cameraman and local civil society was very slow in understanding the significance of this event. They only became fully active about an hour before. By that time, local civil agencies of the 'State' were fully 'engaged' too. Both the 'State' and the 'People' are still equally laggard in adapting to the needs of the age. Meanwhile, this was published on the 8th of March 2016. 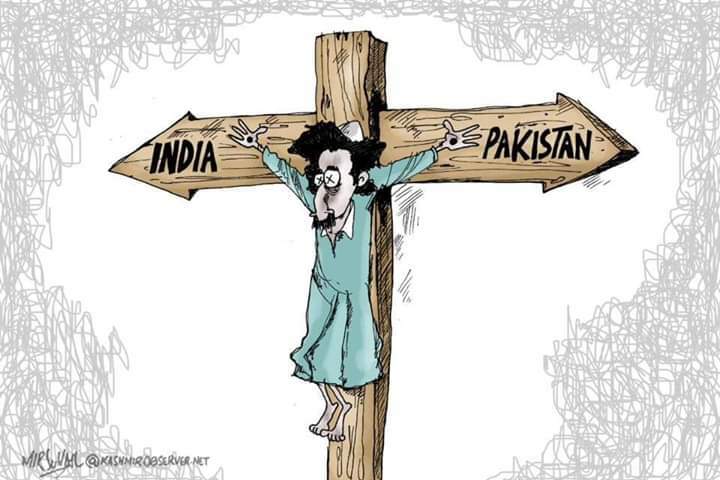 We are still suffering from this assault on the sanity of the people of AJK by the Pakistani State. I'll be introducing new aspects to the daily blog, as and when a higher level of maturity is reached in public discourse. So, the economy will also come into the picture now. The motor in AJK Public Agency must run around the clock now too. The absence of words cannot be excused. Yet another location, yet the same sentiments. Preparing for a humanitarian mission this week. I am taking some time out of the winter recess from public activity for this purpose. 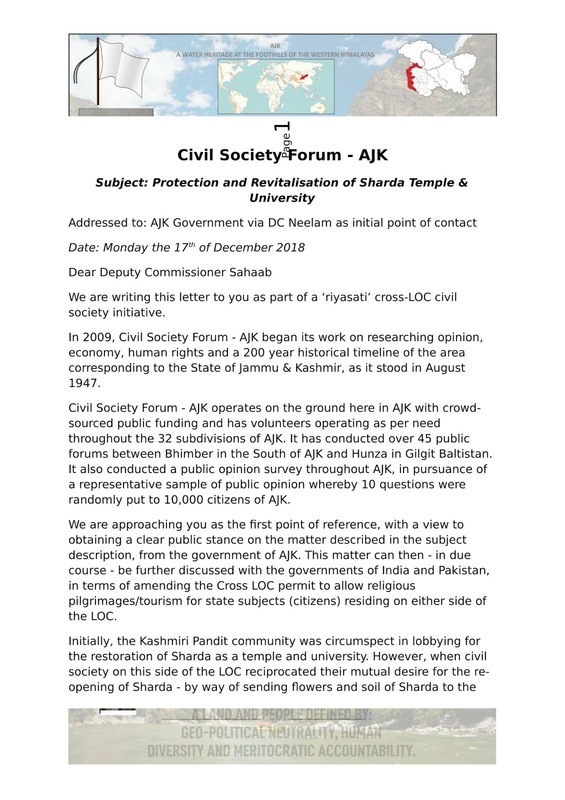 Exceptions have to be made, despite being at a critical stage of my preparation for the extended version of the Citizen Public Opinion Survey Report - AJK. It will all unfold in due course. One must remain at peace despite internal commotion of the mind. Meanwhile, I've developed a 3 hour daily routine of public liaison with an element of regularity now. I aim to stretch it to 5 days a week whereas hitherto it has been intermittent and sans regularity. Hereby I aim to meet citizens who are not familiar with my work and discuss their participation in it. We all have 3 types of resources at our disposal and it is always up to us how we allocate them between private and public interest. About 90% of the public cannot or choose not to indulge in the first two with reference to public interest, while about 66% (overall) are willing in some shape or form to contribute financially to any public cause. 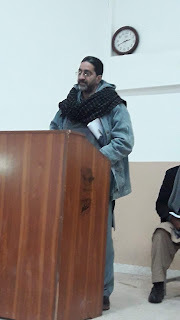 Hence, the discussion revolves around the Self-Determination Public Treasury - AJK (English), though in most cases I'm discussing the Urdu version for obvious reasons. From Ranjit Singh's Lahore to British India to India & Pakistan's Kartaarpur. Confederacies to centralised suzerainty to nation states constantly at war. 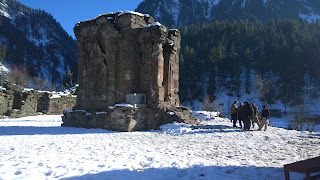 So we began each of the last 3 centuries in the region below Jammu and Kashmir. I'm also exploring the terms thesis, anti-thesis and synthesis, first quoted in the context of Indo-Pak relations at a discussion in Islamabad between an Indian diplomat, a Pakistani journalist (who had technically also inherited state subject status) and me in 2010. Burning the midnight oil rather than an early start, on this occasion. 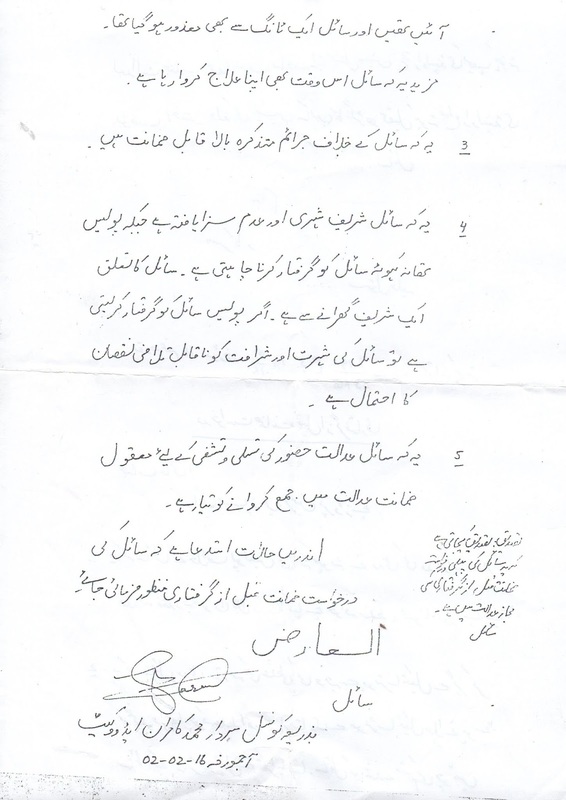 "Expressing his views at a meeting with the representatives of the Government of Pakistan on September 2, 1948, Josef Korbel, a member of the United Nations Commission on India and Pakistan, said: “By ‘local authority’ we mean the Azad Kashmir people, though we cannot grant recognition to the Azad Kashmir government.” Besides these remarks, no other references could be found in the UNSC debate related to the status of the government of AJK". So, the term 'local authority' means the people of AJK and not the AJK government according to the UN. 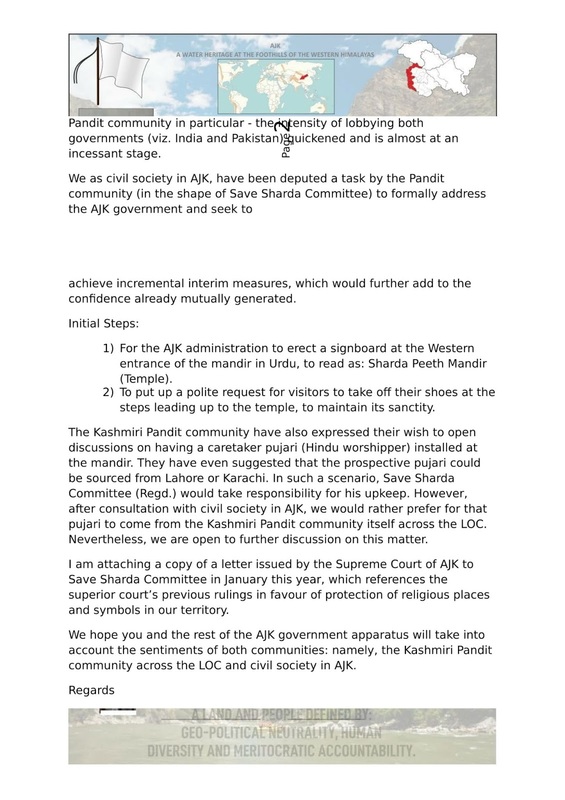 Well, I have always maintained that the citizens of AJK are indeed its owners and the road to a solution to the Jammu & Kashmir dispute begins from this territory. Yet, I am still quite far from penetrating this concept of 'ownership' or OBMs fully into the minds of our people en masse. Even at this mature stage of daily blogging (almost 64% success rate over the year 2018 so far), I am still only sharing a fraction of what transpires on a daily basis. Evidently, 24 hours in a day is either not enough to get everything done or at the very least, those 24 hours every day need to be organised better. Life is a constant struggle, I just hope I can motor on for the next few decades, if the Almighty allows me. "We want to obtain driving licences like everyone else".